This is another great waterside run in Buffalo. 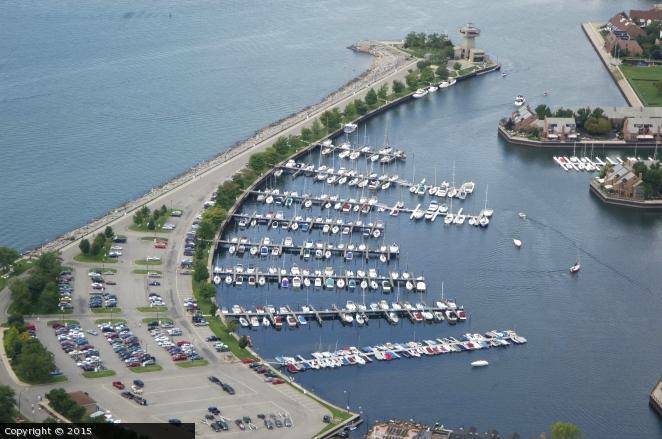 The highlight is the 1 mile path along the Erie Basin Marina, which has lovely manicured gardens along the water, and views to Buffalo Main Light lighthouse. The main path from Harbourcenter to the end of the marina path is about a mile out to the end , but the run can be extended about 0.75 miles south along the Buffalo River, to Michigan Ave. There is a recreation area along the canal, kayak rentals, a Naval & Military Park, and lots of fun waterside restaurants and bars. Our route map shows the 1.5 miles from Michigan Ave. to the end of the marina path. Harborcenter, site of concerts and special events, is a good place to start.